Add more physical activity to your life by having fun with great people! Many local clubs offer recreational activities at low or no cost to the public. Click on the club name to learn more and see what each group offers. California Native Plant Society – Shasta Chapter – The California Native Plant Society leads leisurely plant identification hikes where a trip leader talks about the plants along the trail. The pace is not strenuous. Some are set up where participants meet at a trailhead, others have a meeting place in town and people can arrange carpools right there. Participants are of all ages. This is a nice way to enjoy natural surroundings, learn about natural systems and plants and to enjoy sharing time with interesting people. EPIC Redding is a local triathlon club where triathlon enthusiasts of all abilities can get together to train, socialize and share their love of the multisport lifestyle. We do club races, twice weekly coached work outs with a certified USAT coach, and other club activities. Just Kayak More – This group is a fun, healthy way to spend time with friends and family on the water. Monthly group meetings occur on the third Thursday of every month. Check the calendar for details. Mount Shasta Bike Park is a great place to bring the entire family. They have chair lift access mountain biking on the Marmot and Douglas Chair lifts. Their trails range from beginner to expert with a nice variety of man made features with irrigation on most trails. They also offer scenic chair lift rides and our new 18 hole disc golf course. The Black Diamond Grill located at the top of Douglas Butte is a great place to eat and drink while experiencing breath taking views of Mount Shasta. They are open Saturday and Sunday from 10:00am-4:00pm. 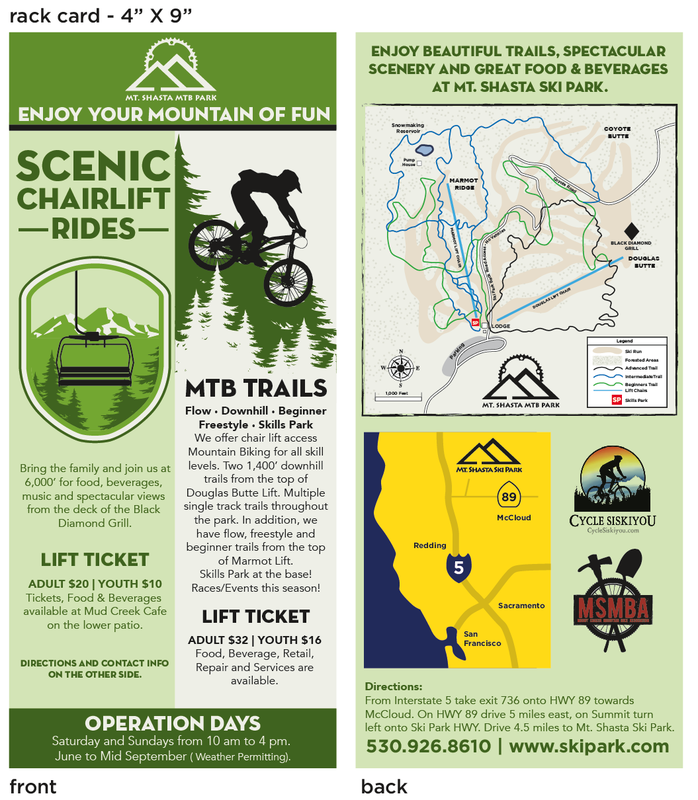 For more information Mount Shasta Mountain Bike Map, Mount Shasta Ski Lift and Park Information, www.skipark.com, call 530-926-8610, or find them on Facebook and Instagram. Northern California Outdoor Adventurers – This group is for positive minded people who like to meet new friends and have fun with people who enjoy the great outdoors and like adventures of all kinds. It doesn’t matter how old, young, fast, slow, or how advanced you are with any particular activity. Everyone gets to explore their own capabilities at their own pace… without pressure. 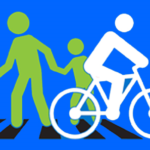 Recreation Unlimited Fun & Friends – This group started as a group of friends who wanted to expand their horizons, meet new friends and enjoy what the area has to offer. 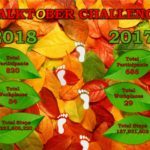 The calendar includes activities such as mountain biking, outdoor snow sports, hiking, backpacking, horseback riding, fishing, camping, disc golf, and recreational boating. Feel free to join in any activity on the calendar or suggest something you would like to do. Redding Mountain Biking – Enjoy the outdoors, getting to know new people and having a blast riding with this group that plans weekend trips, local rides, and monthly mountain bike rides for families. Bring the whole family mountain biking with the Redding Mountain Biking club – riders of all ages and fitness levels are welcome. 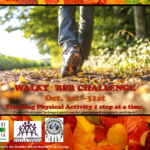 Redding Ramblers Hiking Group – This local hiking group was formed in the Redding area with the goal of gathering people together to have fun, while getting plenty of exercise and making new friends. 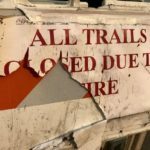 Hikes are mostly held on the weekends and vary in length and difficulty, frequenting the local trails in West Redding and parts of the River Trail. Redding Recreation – Providing people of all ages and abilities the opportunity to pursue hobbies, develop talents, form new friendships, and enjoy various sports. Be an Action Hero! Redding Recreation is always looking for individuals to lead or teach classes. Call 225-4095 if you are interested. Redding Ultimate Association – This ultimate frisbee group meets regularly for pickup games that are fun, informal, and open to anyone. Join them on Wednesday nights at Caldwell Park and Saturday mornings at Enterprise Park. New player clinics are also offered, see website for details. Redding Area Derby – This roller derby team invites women, age 18 and up, of all shapes and sizes to come out and skate. Don’t know how to roller skate? No problem – they train women to skate (and fall) safely. Redding Dance Group (RDG) – Join this group 375 dance lovers that promote all kinds of dance events in Northern California. Shasta Rowing Association – Shasta Rowing Association is a nonprofit organization based in the greater Redding CA, dedicated to the fine sport of rowing. Whether you are a seasoned vet or have never tried it before, they welcome everyone to join and become a part of this exciting sport. Row your way to a College Scholarship, race at a Masters Competition, or just join them on a clear, sunny day. The experience awaits you. SWEAT – Join fellow runners at any of the multiple competitive and non-competitive running events this club hosts each year. Members enjoy races, training, fun runs, and social gatherings. We Ski II – Enjoy a wide variety of outdoor recreation activities with this fun group! Event activity levels vary from beginner to expert, with an emphasis on recreation, not competition. Local community centers often offer group exercise classes for low or no cost. Use the contact information below to inquire about classes offered. When available, we will post class schedules. Classes are held at numerous locations. Check website or call for details. On-going strength, balance and walking classes for seniors sponsored by the Active Aging Community Task Force. Classes are free unless designated by $, indicating class is low-cost/donation. See class schedule below. Please call the class instructor BEFORE you attend to make sure the times are correct. Please call 225-5854 for more information.